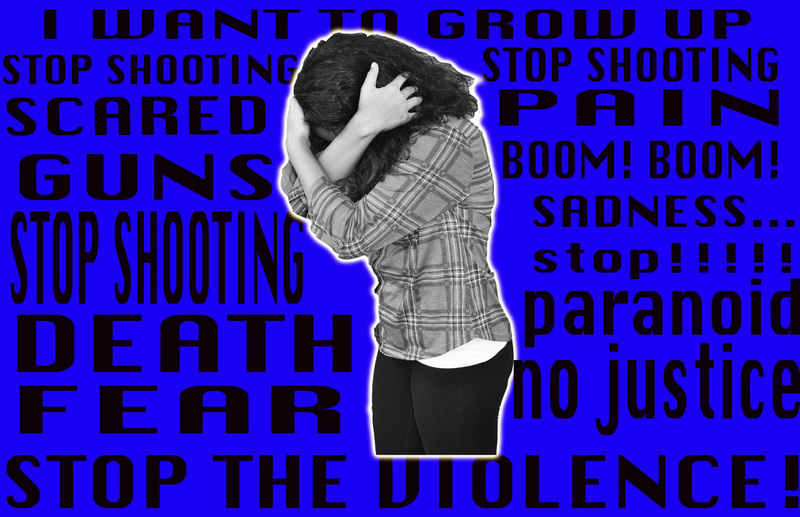 In this image I created a back round about violence and how it makes people feel .I chose the color dark blue because when I think of violence I think of a dark loud but sad tunnel. The reason I made some of the words bigger like for example DEATH because so many young children< teens, and adults are losing there lives.When i was taking my picture I had trouble finding what pose i wanted to do. I thought of, if i was in this type of problem what would i do and i thought i would cover my face and try to hind from getting hurt.